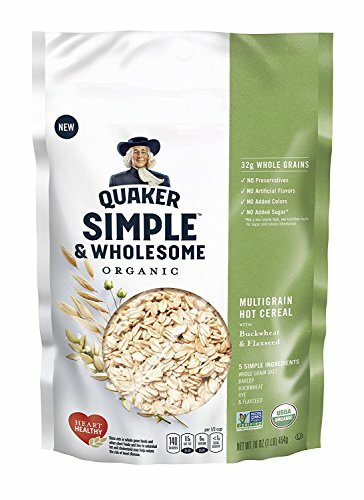 USDA Certified Organic - Quaker Organic Oats* have been certified as organic by the USDA and contain no artificial flavors, colors, or preservatives. Look for specially marked packages. Good Source of Fiber - 2.5g total fat per serving. Final Price as low as $8.28 Shipped!